Hoten Holler – Hoten Holler! If you click on the link below you can see the plat of our two properties. The 40.79 acres to the north is bordered on three sides by National Forest and is fenced on all sides. The 40 acres to the south is more symmetrical and has water. Click Here to see the PDF of our property. 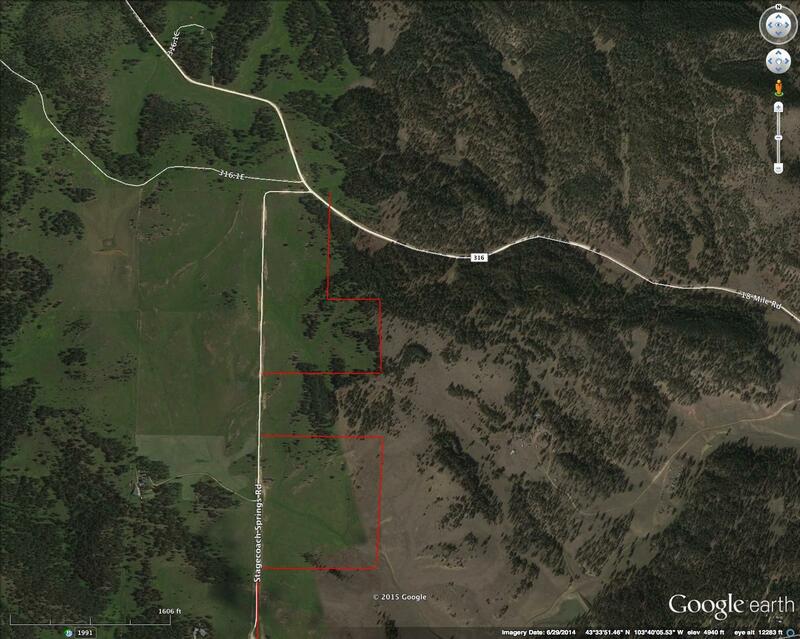 Below is a Google Earth shot of our land. I put the red lines in to roughly indicate the property boundary. Click on the image for better quality.